She’s back! 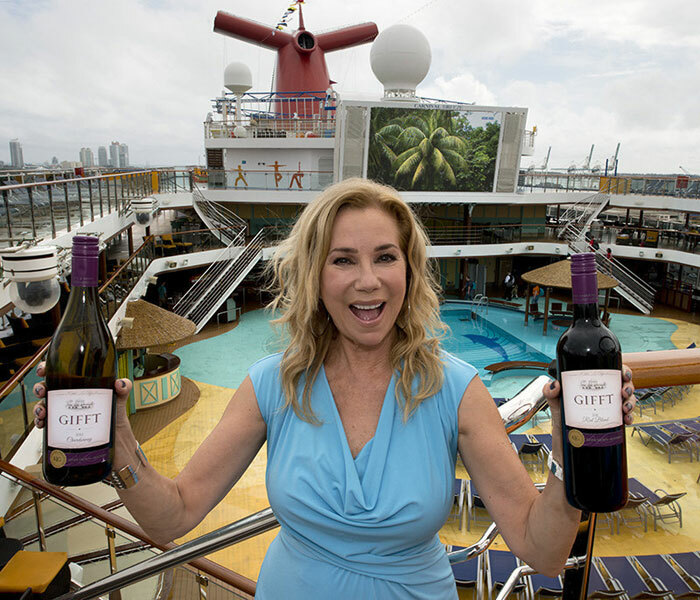 The former face of Carnival Cruise Line has got all cosy again with the Miami based cruise line with her new “GIFFT” Collection of wines. Kathie Lee Gifford offered a wine tasting event on the Carnival Breeze while it was in PortMiami on Sunday, January 11th. The new collection of GIFFT wines are now available to purchase throughout the entire fleet. The wines from Monterey County have been highly rated from tasting ratings and Guests onboard can enjoy their dining experience even further. Gifford can now be found on popular American TV show “Today” and NBC News. If any cruisers have given the wines a try then let us know what you think in the comments below.